It takes practice. It takes practice. It takes practice. That’s my current mantra as I’m teaching myself, with the help of videos, books, and support and advice from my dear cyberfriends on Raverly, to spin yarn on a drop spindle. My first attempt at spinning my own yarn, which involved a .75 oz (21 g), high whorl spindle and 1 ounce of mohair/Shetland fiber, resulted in 14 yards of 2-ply that looks reasonably like yarn. It’s not enough yarn to knit anything other than a swatch, so I’m undecided whether to knit it up or simply save it for posterity. You probably noticed that the thickness of the yarn is a bit inconsistent, and there are the occasional slubs in it, but overall, I think it’s pretty good for a first effort. A lot of the credit goes to the spindle and the fiber. Using proper tools and appropriate materials contributes greatly to a successful outcome. Although the spindle was inexpensive and is made from a wooden dowel and toy truck wheel, it is very well balanced and spins fast and long. It’s a joy to spin on. And the fiber was easy to draft and nicely prepared. There was a very small amount of VM (vegetable matter) in it, but it was easy enough to pick it out when I came to it. I still have a bit of singles left from the spinning, probably enough that I could have gotten 2 or 3 more yards of 2-ply from that ounce of fiber. 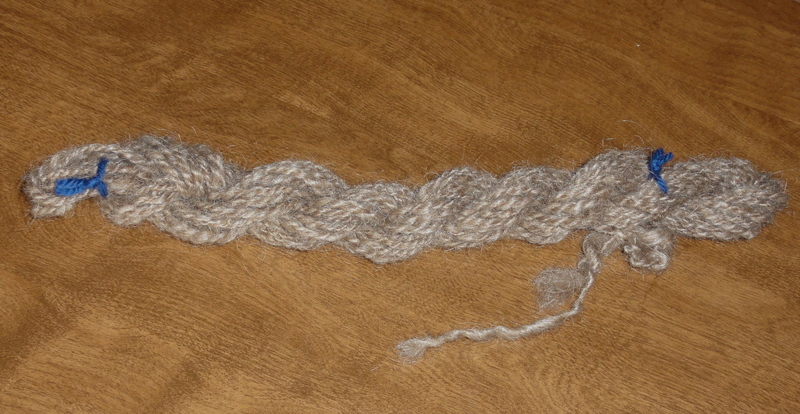 But I ended up with a cute little hank of handspun. I’ve been practicing every day, and things are starting to click. I am even daring to think that with enough practice I will be able to produce usable yarn that any knitter would love to knit with. And I must say that visions of Bosworth, Golding, and Kundert spindles are dancing in my head. 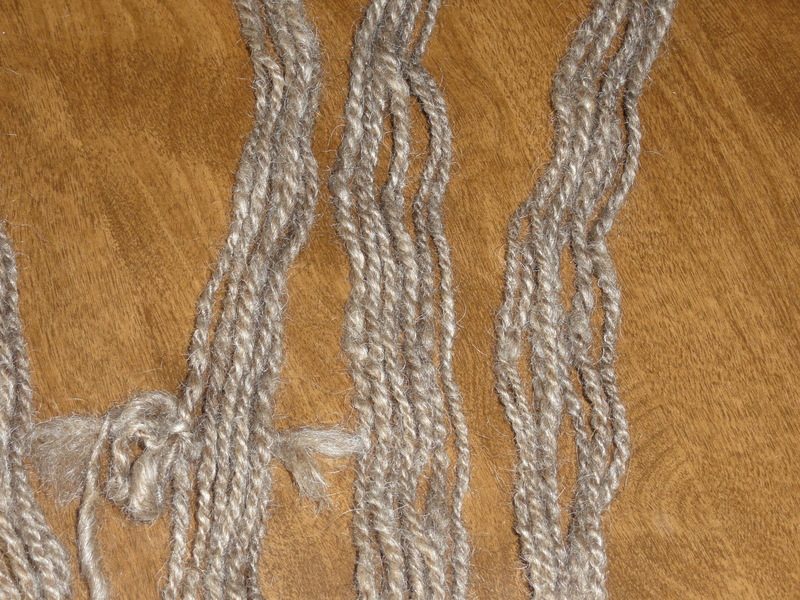 This entry was posted in Spinning and tagged drop spindle, handspun yarn. Bookmark the permalink.